Remember to brush my teeth. I love to smile. Porviding personalized end-of life care for your pets. 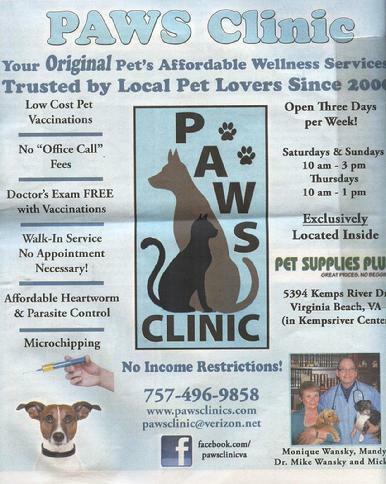 Can't afford the price of the board certified vet? Dr. Murphie has been pursuing orthopedic and soft tissue surgical training for over 30 years. He is a member of the Veterinary Orthopedic Society. "I personally have experience with his orthopedic work and it is superior." Estimated Cost of Teeth Cleaning. Have you been getting a lot of questions from clients and friends asking if ice water is lethal to dogs? It’s a rumor that’s circulating the Internet and worrying dog owners. "[This] rumor is not true, for a couple of reasons,” writes veterinarian Dr. Audrey Harvey in a blog post on the DogTipper.com website. Dogs can bloat after eating or drinking too fast in general, regardless of the temperature of the water or whether or not the water contains ice cubes. When a dog is hot and thirsty, he very likely might drink the water too fast -- and swallow lots of air in the process -- which can be a recipe for bloat. When a dog’s stomach bloats, it twists and traps air, gas and food, cutting off the blood supply to the stomach and nearby organs. The dog’s stomach then becomes distended, and without immediate help, the dog can suffer from shock or organ failure, or even die. If worried clients come to you about this myth, take the time to educate them about the dangers of ice, heat stroke and bloating. Although eating ice technically is safe for dogs, ensure owners are aware that eating ice can pose a few dangers. Dogs that munch on ice can potentially damage or break their teeth, or the ice could possibly become lodged in the dog’s throat. Supervision is required whenever ice is given to a dog. spasms in his stomach, which led to bloating. Bloat — also known as gastric dilation-volvulus—is a life-threatening condition in dogs. It was a sunny Tuesday afternoon, and Sean Cater had a feeling something was wrong. A 48-ounce package of chicken lay on his kitchen floor, empty. Bits of wrapping trapped in the yellow Styrofoam fray littered the tile, then the carpet, leading Cater to the inevitable culprit: his 4-year-old greyhound, Shark Face. Shark’s belly was slightly larger than usual, the pinkish gray skin pulled just slightly tighter to her body. Cater’s gut had told him something was amiss, and now he had proof. Gut feelings do matter. Shark-Face’s tummy rumbled as the day continued. Even more than that, Cater was thinking about things many pet owners do not: Shark’s brain, joints, heart and general attitude. Cater is a graphic designer for Vetri-Science Laboratories of Vermont. He takes it upon himself to regularly ask questions about pet health, and knows something many pet owners do not: Digestion is a connective activity. We habitually associate intuition with our guts, so much so that bad news becomes hard to swallow, we get lumps in our throats, and we come to know emotions through our stomachs, from the deepest pits to the flightiest butterflies. The interconnectivity of companion animals’ health is much like our own: Much of the material an animal ingests is absorbed through villi and can make it into the bloodstream. Those nutrients or toxins can reach the brain, heart, lungs and every other organ and system faster than you can say salmonella. One famous example of the gut-brain connection is Pavlov’s dogs. The signalization aspect of his experiment proved that small sensory signals trigger salivation, a first step in the digestive process. The enteric nervous system’s ability to make humans, dogs and cats vomit without our consent also serves as an interesting example. Further, an important neurotransmitter, glutamate, is directly influenced by ammonia concentration. Ammonia is mainly produced in the intestine by nitrogenous compound degradation. This process reveals how important maintaining circulatory and hepatic health is to maintaining brain health. Despite the simple explanation of the gut-brain connection, the gut is still a complicated habitat. “The living gut is a true jungle where only the fittest survive,” says Gary Pusillo, MS, Ph.D., P.A.S. He is a member of Vetri-Science Laboratories’ large animal scientific review board and a board-certified member of the American College of Animal Nutrition. For many clients, the word “probiotic” may only have one association: yogurt. But the word actually means “for life,” and probiotics support total wellness. Because probiotics offer immune support and support of microbial balance, supplementation can promote skin health, ocular health, positive behavior and more. The goal of a probiotic formula is to populate the gut with beneficial micro-organisms. But according to Chelsea Tomat, animal product developer at Vetri-Science Laboratories, not all bacteria have that ability. In fact, the quality of any probiotic formula depends on a variety of factors: viability, diversity, quantity and adherence. Viability: Why so many variables? Probiotics, like the guts they inhabit, are finicky characters. “Probiotics have a tough time surviving in the presence of moisture,” Tomat says. The “alive” bit is important. The successful reanimation of the micro-organism is the key factor in the first variable, viability. Diversity: We’re all aware of the value of diversity as it relates to organisms’ survival in, for example, a jungle environment. This concept remains true for less visible environments, like the gut. Note: In the notoriously successful human microbiome we can find more than 10,000 different microbial species. A successful formula will include diverse, viable and “host-compatible potentiators that not only (support) the growth of the product’s direct-fed microbials, but also the naturally occurring beneficial bacteria … in the GI tract,” Pusillo says. Quantity: Microbial quantity is another detail that deserves directed attention, Pusillo warns. Often, a probiotic’s quantity listing is either unverifiable or irrelevant, and used as an empty selling point instead of an insurance of the formula’s quantity. Tomat confirms that viability is more important than quantity. Adherence: Colonizing isn’t easy—gut pH plays a huge role. In dogs, it’s comparably low, meaning highly acidic and designed to digest large food items. Despite the fact that colonization seems like the end goal of a probiotic, we should also keep in mind the idea of elimination. A good formula will encourage elimination of the harmful pathogens in the gut and simultaneously promote the colonization of the beneficial micro-organisms. Adding ingredients like specialized yeast extract, or SYE, to a probiotic formula can encourage attachment of sugar-seeking pathogens. Every veterinian has experienced the impact of healthy digestion. Probiotic formulas are one way to support the process—enzymes and binders offer similarly valuable support. Maintaining microbial health is an everyday task and one that requires working knowledge of diet and nutrition, as well as supportive options and what makes them successful. “If we want to promote health we should pay attention to the ways of nature and learn to encourage the body’s own mechanisms for self-repair and maintenance,” Pusillo says. Quality probiotic formulas support that endeavor, for life. Karin Krisher is a copywriter for Vetri-Science Laboraties of Vermont. This Education Series article was underwritten by Vetri-Science Laboratories of Vermont. Another "Greyhound thing" is the incidence of comedones or black heads found on their lower chest. Again, this is usually a cosmetic concern more than a real medical problem, but it can be very unsightly. Milder cases may resolve spontaneously once the Greyhound is adopted into a home. The affected area can also be gently rubbed with non-prescription witch hazel or with raw virgin coconut oil. Repeat every day or two until the area clears. More stubborn and advanced cases of comedones can be treated with a benzoyl peroxide gel or a deep cleaning medicated shampoo like Sulfoxydex, both available through your veterinarian. Also, Renova (a human prescription cream) can be applied nightly to the chest for 3-4 weeks. In a few cases, these areas can become infected and will require antibiotics. The skin on greyhounds is thinner than other dog breeds and is more prone to tears and cuts. When they wag their tail very hard against something hard (a wall, door, cabinet), they can easily break the skin and begin to bleed. Even a small wound can bleed enough to make your home look like a crime scene! If that happens, you'll have two problems: treat the tail and clean up your house. Neither one is a small matter. See your vet as soon as possible. No wound will heal well if it's infected so antibiotics will probably be prescribed. This is rarely an emergency, although the amount of blood will make you think it is. A trip to the emergency clinic is rarely needed if you can get the end of the tail bandaged. If there's a delay seeing the vet (weekend, holiday, etc) remove your first bandage after 6-8 hours. By then the bleeding should have stopped and you can assess the damage. If the wound is small, I prefer not to clip the hair away as the hair actually offers some protection against further trauma as it's healing. If the wound is large, the hair must be clipped. Keep the tail bandaged for at least 2 weeks - much longer if the wound is large. In the worst cases, the wound may be severe enough that the end of the tail will need to be amputated. There are several good cleaners that will remove blood. Always test on delicate fabrics first. One of the best I've found is hydrogen peroxide and most of us have it at home already. Once this has happened to you, you'll never let your hound wag against anything hard again. If this hasn't happened to you yet, please take every precaution to keep that long delicate tail from hitting hard surfaces. It's really hard to imagine how bad a happy tail incident can be. Another behavior trait of some Greyhounds is called "nitting". When a Greyhound is very happy, and loves their "person" they may nibble at their arm or side (or any available skin) with their front teeth. It's actually an expression of great happiness but it might be misinterpreted as aggression. The nibble is hard enough to easily leave a bruise, so, although it's actually meant as a true compliment, it's wise to be careful. A variant of this is chattering and air snapping. When some greys are happy, they may chatter quite loudly, clicking their lower jaw as though they were cold. You may see a greyhound do this at meal time or when their "person" comes home. Air snapping is similar to nitting but instead of nibbling at your skin, they snap at the air. Again, this could easily be misinterpreted as aggression when it's not. The "snapping" is not aimed at you - it's aimed at the air. Your adoption group should be able to tell you whether the greyhound you're adopting does any of these things. Finally, there's "grinning", a facial expression shared with other breeds but also frequently misinterpreted. Grinning is usually a submissive expression although it looks very much like a snarl. The clue is in the rest of the Greyhound's body language and the circumstances that you see this. The right and left pictures below were taken after an exciting run and this greyhound - Rin - was really excited and happy! The middle picture, Fandango, was also simply an excited, happy fella! Again, your adoption group should know whether your greyhound is likely to do these things. Sometimes, however, these traits don't appear til they have been in a home relaxed and happy.